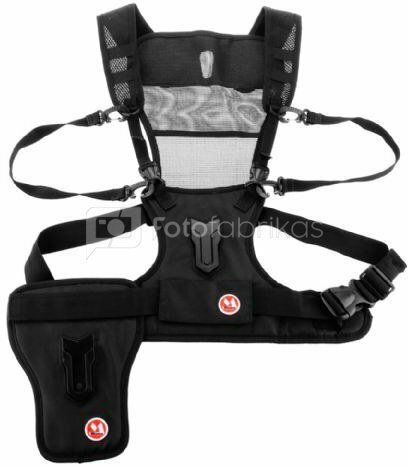 The Micnova Multi Camera Harness MQ-MSP01 is a unique chest harness system. 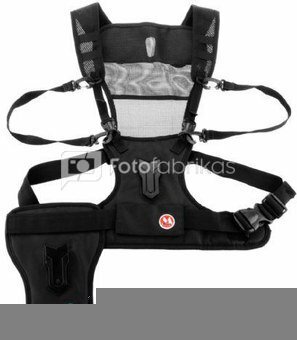 It supports 1 or 2 cameras, eliminating the neck strain. The system comes complete with a camera-tether that securely supports your camera and increases stability. 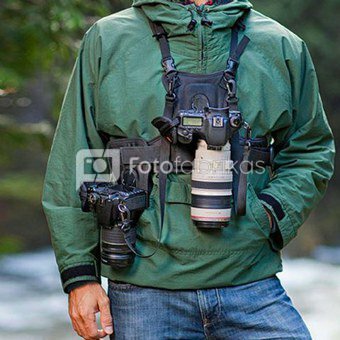 The side holster allows you to carry a second camera holster-style, leaving you hands-free until you are ready to shoot. With the multifunctional belt locking system, your camera is always secured and ready. 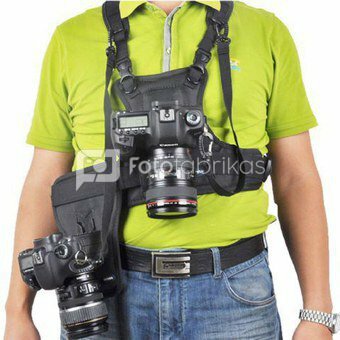 Ideal for sports-, nature- and wedding photography.